“Ever wonder what a broken heart looks like? Well there you have it." Hunter thought he had a forever home with people who would love him for a lifetime. Sadly, he was wrong. Last week, the 6-year-old pup was surrendered to the Houston Humane Society in Texas. Hunter's former owners told staffers there that he wasn't getting along with their new puppy, so they'd decided they didn't want him anymore. No one explained that to Hunter, of course, but it soon became clear that he'd gotten the message. 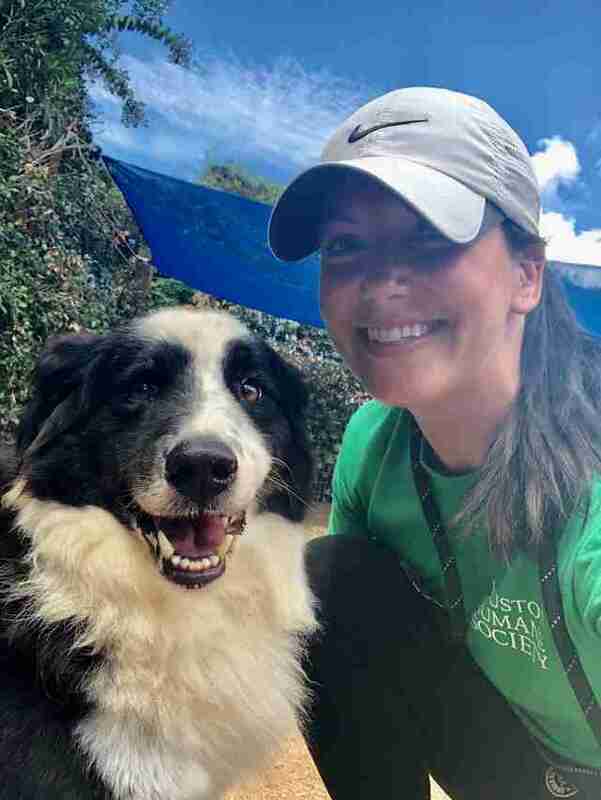 Randi Bertholet has been volunteering at the humane society for the past seven years. She was among the first to interact with Hunter after his life was uprooted. "When I walked up to the kennel, at first I didn’t even see a dog in there, until I looked in the corner. I saw him frozen in fear, trying to make himself invisible," Bertholet told The Dodo. "I immediately sat on the floor, turned away from him, waiting for him to come to me. After a few minutes he cautiously approached me." Realizing that Bertholet could be trusted, Hunter then broke down. Bertholet shared a video of that tender moment with the caption: “Ever wonder what a broken heart looks like? Well there you have it." Bertholet could only do so much to comfort Hunter. He had every reason to be upset about what he was going through. "I was so heartbroken for him," Bertholet said. "I cried that night while laying in my warm bed with my dogs, thinking about him in there alone and scared." After posting the video above to social media, others began learning of Hunter's sad situation, too. And as word spread, adoption offers came pouring in. 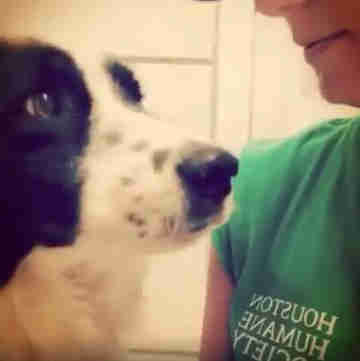 So, with any luck, Hunter won't be long without the love, companionship and commitment every dog like him deserves. "I never thought my video would get the response it did," Bertholet said. "But I’m so glad it did." Unfortunately, Hunter's story is far from unusual. Some people, it seems, see their pets more as disposable accessories than real members of their families — and shelters across the country are full of dogs and cats surrendered for the pettiest of excuses. Bertholet wants her experience with Hunter to inspire those people to have a change of heart. "I’m hoping this sheds a real light on the reality of what dogs go through when their owners drop them off," she said. "Perhaps it’s out of sight, out of mind for them. But I wanted them to see, so it was on their mind. They all are truly scared, confused, and devastated that the family, life, and home they once had is no more, and they don’t know why." Visit the Houston Humane Society's website to make a donation online.